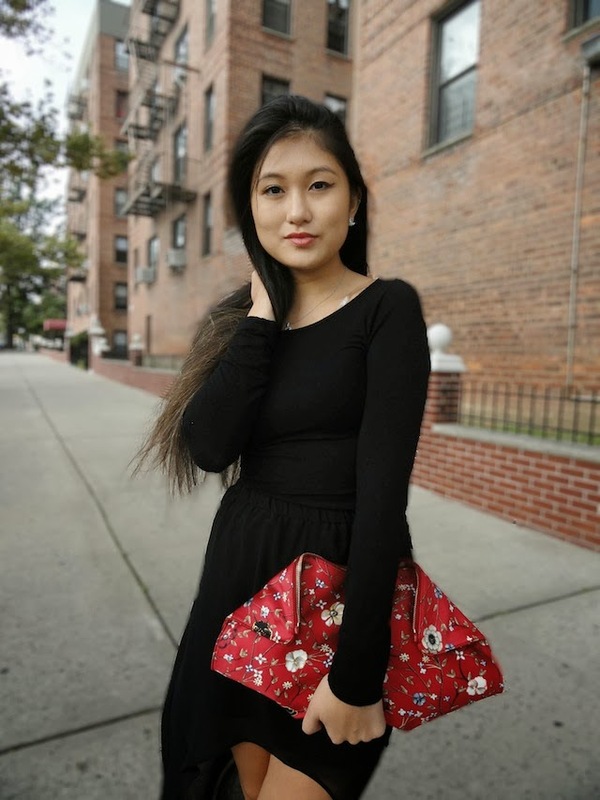 I've had the Alexander McQueen De-Manta clutch on my wish list for the longest time now, and when they came out with this floral printed one, I couldn't resist. It has a bit of an oriental essence to it, an example of florals done so right. I wanted to show the clutch in all it's glory, so I wore all black for it to stand out, and I must say...it's a bit of an eye-catcher! You look so pretty in this black dress. And I just LOVE the clutch!